Family Fun in Woodbridge, VA! Calling all Prince William County Families! Summer is here and there is plenty to do. Even as unpredictable as the weather is nowadays, there is always plenty of fun family-friendly activities to do in the Woodbridge area. When the days are suitable for outdoors meet and greet with other parents and entertain your children at the Stonebridge Potomac Town Center which hosts live children’s entertainment on Wednesdays from 10:00-11:00am. If your looking for a way to get in some exercise, the Town Center has “Stroller Strides” meet ups every Wednesday and Friday from 9:00-10:00am where children of all ages are welcome. Meet up begins outside the Orvis store. Saturday evenings at the Town Center features an outdoor movie viewing from 7:00-9:00pm. Bring your chairs, blankets, and picnic baskets! For more outdoor fun visit Fantasy playground located at 12298 Cotton Mill Dr. for an amazing old-school playground experience. There are plenty of kids to play with and easy parking. Also offering outdoor fun is the Lake Ridge Golf & Marina, which presents mini-golf, paddle-boating, and scenic hiking trails. Next up for outdoor fun is the Andrew Leitch Park and Water Works Water Park located side by side in Dale City, VA. This water park has something for all ages and is 1/3 of the price of other waterparks in the surrounding areas. The park features slides, obstacle courses, a large walk-in pool, and an entirely separate little kids splash area that is pretty impressive. Next door to the water park is Andrew Leitch Park that has two of the nicest and fairly new playgrounds the area has to offer. Locust Shade park offers summer entertainment with local children’s acts in an amphitheater area. Some performances are free and some cost $4.50 for children over 2 years of age. Some of the upcoming performances include The Jurassic Magic Show, The Magnificent Belly Dance, and The Manassas Youth Ballet. On days where the heat is too hot or the rain is keeping everyone from getting outside, there are even more things to do. The Chinn Library offers many children’s events including book readings every Wednesday at 10:30am and bedtime stories Monday nights at 7:15pm. 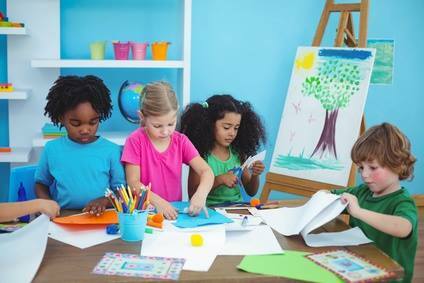 Chinn Regional Library also has craft days, picnics with stories, and Friday Fun days. Friday fun days include movies, dance, books, or music. The entire Library schedule can be found here. All Chinn Family drop-in activities are free of charge. The Chinn Recreation Center next door to the Library also offers a variety of children’s activities. There are a lot of week-long summer camps in dance, sports, and fitness. There are also drop-in activities such as Little Adventures Playground for children ages 1-5 every Tuesday from 11am-12pm. For $3 children have an indoor open area to play, learn, and meet new friends. Additional fun indoor activities include Kids ‘N Motion located at 3310 Noble Pond Way #101. 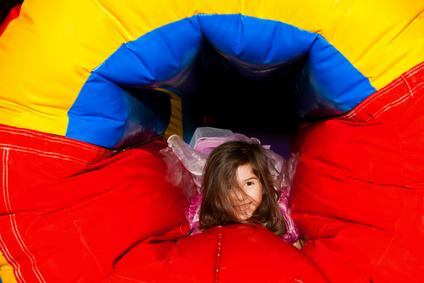 Kids ‘N Motion is an inflatable party palace and play gym that offers 90 minute play sessions divided into two fun-filled rooms. Parents must accompany children during sessions. In addition to open play Kids ‘N Motion also offers Fun Fitness Camps. There are three sessions available between the hours of 9:30-6:30 pm on weekdays where children ages 3-12 can be dropped off for 3 hours to play, watch moves, have lunch/snack, color etc. A similar place to host fun and inflatables is Beehive indoor playground located at 13412 Jefferson Davis Highway. Beehive has moon bounces, cannonball machines, bumper cars, a multi-screen video game room, air hockey, and toddler’s areas. Beehive has a convenient honeybee café that offers food and coffee since we know children are always hungry! The Beehive playground also offers summer workshops. One workshop includes learning stop motion animation with Legos. This is a 3 day workshop for older kids ages 7-13 from 1:00pm-5:00pm M/W/F July 25th, 27th, and 29th respectively. Whether indoor or outdoor, there are a multitude of options for family fun this summer in the Woodbridge area. Try one or two and maybe I will see you around!